Brendan Ball lives on Malta as a member of the Malta Philharmonic Orchestra. He began studying trumpet after winning a scholarship to study at Chetham’s School of Music, Manchester. Whilst at Chetham’s, Brendan was a brass finalist in the BBC Young Musician of the Year and performed the Trumpet Concerto by Alexander Aroutunian. Further study took place at the Royal College of Music, as a Foundation Scholar. Brendan’s principal teacher at the RCM was Professor David Mason, the piccolo trumpet soloist on The Beatles’ Penny Lane. He also undertook studies there with Michael Laird, Stanley Woods and John Wilbraham. IBrendan has played with most of the leading orchestras, opera companies and dance companies in the UK and Ireland. Most notably as Principal Trumpet with the Royal Liverpool Philharmonic Orchestra for many years. He has also lived and worked with three orchestras in Spain and performed film, television and concert work in Paris, alongside touring Europe, Asia and the USA. Of particular interest has been contemporary music and music theatre. He has collaborated with many composers to present world premieres, forming a particular affinity with international award winning composer and wordsmith Aílís Ní Riain, whose solo trumpet writing has seen him undertake several UK tours, as soloist in a celebration of the career of Delia Derbyshire, several art installations, including the Durham International Arts Festival in 2012 as the atmospheric background to Intone, showcasing the work of award winning visual artist Nicola Dale. Brendan was the only live musician in TREASURED; a site specific music theatre production created by Director/Producer, Jen Heyes, This ninety minute giant spectacle, retelling the story of the Titanic, with words and music by Aílís Ní Ríaín, played to over four thousand people in a week in Liverpool Anglican Cathedral. 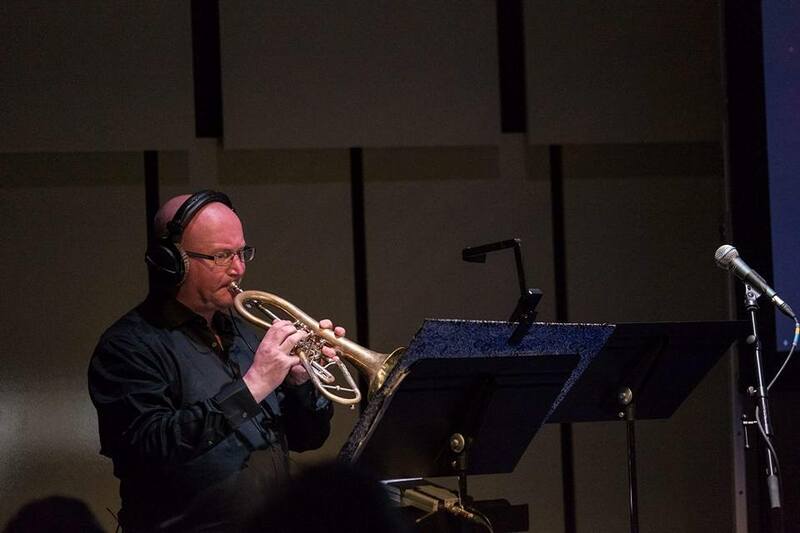 He has also worked extensively in the recording studio, having played for film, television, radio and commercial recordings in all genres.Brendan has been involved in many world premieres and is an active supporter and participant in contemporary music. As a member of the award winning, cutting edge Ensemble 10.10 he has taken part in the promotion and creation of new sounds and performances all over the UK. Recent composers to write new solo works for Brendan have included Nigel Clarke, Anthony Gustav Morris, Aílís Ní Ríaín and Timothy Jackson. Plus, solo music for solo trumpet including poetry, music theatre, trumpet with film, trumpet with live narrative and trumpet with electro-acoustics. As a concerto soloist, Brendan has performed: Brandenburg Concerto no. 2 by J.S. Bach; the Trumpet Concerto by Leopold Mozart; both concertos by Michael Haydn; concerti by Telemann; the concerti by Joseph Haydn and Hummel; the Neruda Trumpet Concerto and has participated in many performances of the Concerto for two trumpets by Vivaldi. Performances of the Aroutunian Concerto for Trumpet have been acclaimed by both critics and audiences.